One of the things I stress about writing a novel is you must do your research. It doesn’t matter if you’re writing fiction or non-fiction because research should be mandatory. I actually love research. You get to learn something brand new, if you’re really lucky you get to add a few new things to your writing arsenal. Here’s why… You don’t just pick up any kitchen knife, hurl it with all of your might, and expect to stick it to a target perfectly. Why? Knife throwing is a skill. As with any skill, it takes practice and understanding. For me, I don’t care if I only mention a knife being thrown one time in a story or it revolves around an entire plot, I want to know the correct way to throw a knife. So that’s what I did, I actually went to a knife store in a mall and bought a beginner set of 3 throwing knives. I actually thought so. 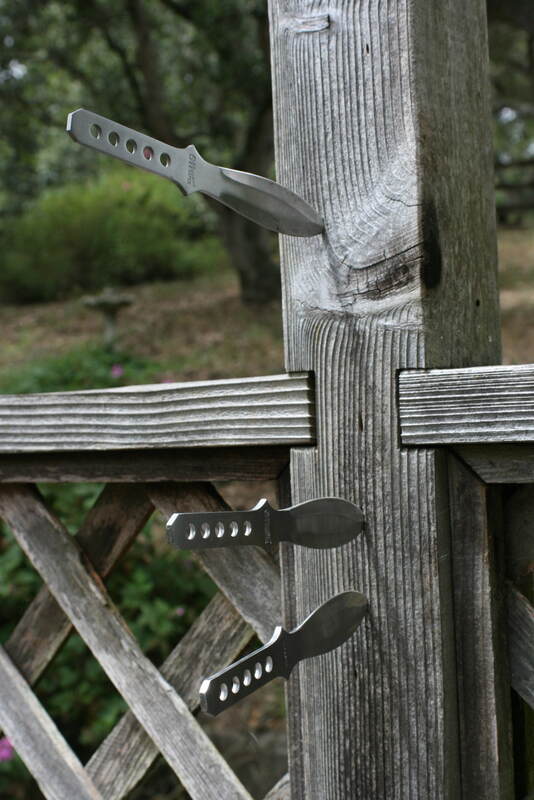 These stainless steel knives are about seven inches long and there isn’t a sharp edge (actual throwing knives are shown above in photo). However, the end is mighty pointy and could hurt someone, or heaven forbid, you. You still have to take some precaution when throwing any sharp, pointed object. Okay, enough of my public safety announcements. I looked up some basic information on the Internet, but finally settled on a handbook by Gil Hibben called The Complete Gil Hibben Knife Throwing Guide. The booklet is about sixty pages with photographs. He also has other books and offers a variety of hand made, well-crafted knives. When I got home and took my knives out of my purse (glad I didn’t have to go through any metal detector), it was tough not to start hurling my new throwing knives. I quickly read the booklet to get the basic information and I was ready to go. Word of warning… it’s not as easy as it looks. Here are the basics: grip, stance, presentation, and release. Once you get quite a few throws under your belt, you begin to get a feel for the exercise and will develop your own throwing style. And voila, I began to stick more than half of my throws and gradually improved my accuracy. Your throwing arm will be sore the next day if you overdue the new skill. Just so you know, if a knife sticks out perfectly level (level, horizontal), that’s a correct hit and proper distance from target. If the handle is up or down, then you need to adjust your distance to the target. You have already learned something new today! See, research is fun and you should take advantage of digging up answers whenever you can. In my case, slicing through the information or cutting to the meat of the story to get my research accomplished. If you’re curious about how and when I’m going to incorporate knife throwing into my novels, check out Compulsion or Dead Game to get caught up with Emily Stone and her vigilante methods of hunting down serial killers. 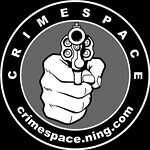 This entry was posted in Compulsion, Dead Game, Writing and tagged award winning author and criminologist jennifer chase, compulsion, dead game, emily stone series, knife throwing, novel research. Bookmark the permalink.